Can Venezuela's Oil Industry Make a Recovery? Can Venezuela’s Oil Industry Make a Recovery? Venezuela’s oil industry is collapsing. According to Francisco Monaldi, oil production is now less than half of the level that prevailed when Hugo Chavez came to power in 1999. Basically, it’s a collapse of the Venezuelan National Oil Company, PDVSA: the production drop in the PDVSA-operated fields is higher than that in the fields managed through joint ventures. To address this collapse, the government of Nicolas Maduro recently enacted the Decree N° 44. Even though the purpose of the Decree is to boost oil production, in reality, it only increased the political control over PDVSA and its affiliates. What the oil industry needs, however, is the investment, not political control. The recovery of Venezuela’s oil industry will depend on the implementation of several measures. There is one basic policy that should be executed: it is necessary to open the Venezuelan oil industry to private investors. This policy could help recover the oil production. In addition, it could also become a positive step toward a more complex goal, which is to rebuild the rule of law in the country. 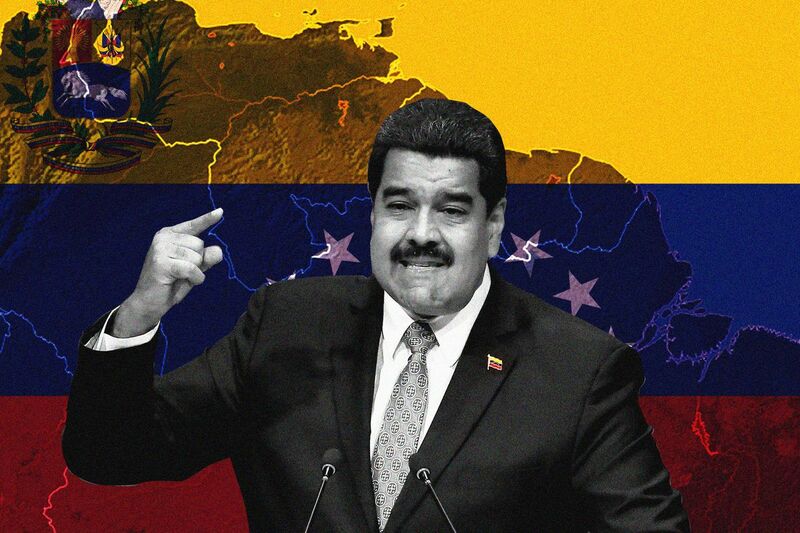 As long as Venezuela remains a petro-state, the rule of law will be weak due to the concentration of powers within the executive branch, which manages oil deposits, the oil industry, and oil revenues. Accordingly, the openness of the sector to private investors could help strengthen the rule of law in Venezuela. To understand what kind of regulatory reform is required in Venezuela, it is necessary to summarize the three main controls that the Venezuelan government exercises in the oil industry. The first control derives from the government’s ownership of the subsoil, including oil deposits (article 12 of the Constitution). It is important to clarify that since 1811, Venezuela, as a country, has been the owner of oil deposits, even though it has not always been a petro-state. Therefore, it can be asserted that the public ownership of the subsoil is not the cause of the petro-state. On the contrary, as it is explained bellow, the Venezuelan petro-state is based on oil revenues collected by state-owned companies. The second control derives from the right of the executive branch to conduct exploration and exploitation (or upstream) activities through PDVSA. The exclusive right of PDVSA to conduct oil activities is recognized in the Organic Law of Hydrocarbons, not in the Constitution. According to this law, private investors can only participate in joint ventures with PDVSA as minority shareholders, which basically puts them under PDVSA’s control. In addition, article 303 of the Constitution established that the government should be PDVSA’s exclusive shareholder (or a public entity created to control the oil industry). However, this rule doesn’t apply to the shares of PDVSA’s affiliates. Therefore, according to the Constitution, it is possible to transfer shares from PDVSA’s affiliates to private investors, even though the law prohibited private companies from undertaking upstream activities. The third, and final, control derives from the seizure of the oil revenue by the executive branch through taxes, royalties, and dividends. Since the nationalization of oil, the executive branch gets ahold of all the oil revenues, which is the main source of revenue for the national budget (and also, due to oil export, the main source of foreign currencies). As a result, the primary function of the executive branch is to distribute the oil revenue, which is an incentive for populism and clientelism. Accordingly, Venezuela is a petro-state because the executive branch has the exclusive right to conduct oil activities through state-owned enterprises and to distribute oil revenue that ensures almost the entire foreign currencies supply in the country. The complete oil privatization in Venezuela will require the elimination of these three government controls in order to promote private investment. Due to constitutional provisions, however, there are some restrictions that should be considered. The privatization of the deposits is not possible under the Venezuelan Constitution. In addition, the privatization of oil deposits will be hard to implement due to the conflicts between the owners of the subsoil and the owners of the land surface. But oil deposit privatization is not a necessary measure. On the contrary, it is possible to reform the law in order to clarify that the public ownership over the deposits only means that the government can consider the deposits scarce resources. This will allow assigning rights over the deposits through public tender procedures. The privatization of PDVSA’s shares is not possible either due to a Constitutional prohibition. However, it is possible to reform the Organic Law of Hydrocarbons in order to abolish the exclusive right of the executive branch to conduct oil activities, and, therefore, recognize the right of private investors to conduct such activities. By the way, exactly the same regulatory model was adopted in the gas industry according to a decree issued by Chavez in 1999. Also, it is possible to expand participation of private investors in PDVSA’s affiliates and joint ventures. To assure a stable framework, the reform of the law should include the creation of a technical and autonomous Oil Superintendence, which will be in charge of regulation of oil activities, including adjudication of rights over the deposits trough contracts. Additionally, the government take should be reformed to promote a flexible and completive fiscal design, in order to promote private investment. Finally, it is necessary to abolish the discretionary power of the executive branch to own and distribute oil revenues. Different solutions can be implemented for this purpose, for instance, through the creation of a sovereign wealth fund – as it is contemplated in the Constitution – and also, by creating a fund that would allow direct participation of citizens in the oil revenue distribution. Taking into consideration constitutional constraints, this reform will not suppress PDVSA and the state-owned enterprises, although some of their assets could be transferred to the private sector. Together with PDVSA, private investors will be able to directly participate in oil activities. As a result, the investment that is needed to recover oil production in Venezuela could be mostly provided by the private sector – both national and international. In addition, this framework would help to dismantle the petro-state in Venezuela, a required condition for the restoration of the rule of law in the country. Of course, the recovery of the Venezuelan oil industry will require much more than the promotion of private investment, and the rebuilding of the rule of law will require much more than the dismantling of the petro-state. But the reform of oil regulation to recognize private investment in upstream activities will be a very important first step to achieve both objectives. 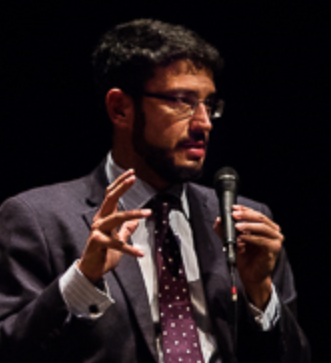 Jose Ignacio Hernandez Gonzalez is a Visiting Fellow at Harvard University's Center for International Development.